The exhibition Island In The Sun by Maren Wickwire and Melissa Hekkers will be part of the Buffer Fringe Performing Arts festival and hosted at the Goethe-Institut Zypern in partnership with KISA – Action for Equality, Support, Antiracism from the 10th to the 17th November 2016. Please join us for the opening on the 10th of November at 18:00 at the Goethe-Institut Zypern. 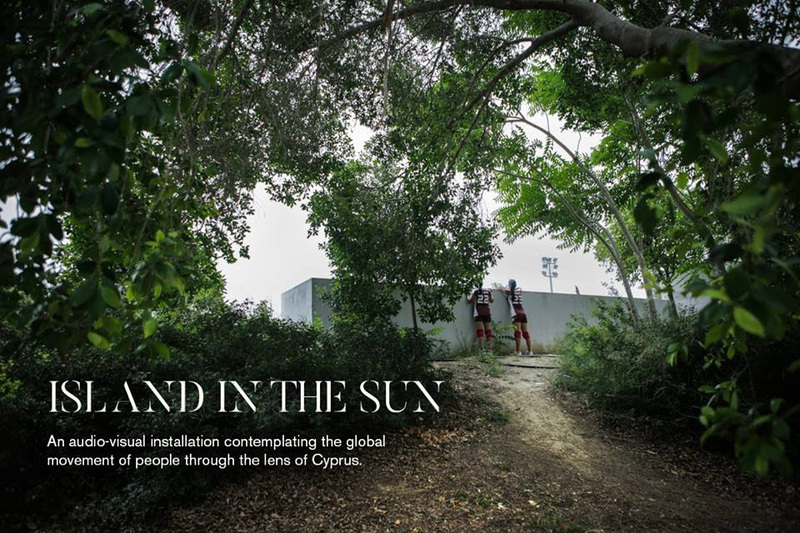 The audio-visual installation mediates fragmented life experiences of migrants, propagating new interpretations and perspectives on the global movement of people through the lens of Cyprus. 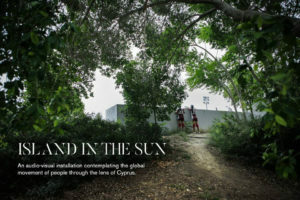 Despite restrictive asylum and integration policies, maltreatment and deportation, Cyprus remains for many individuals the first stepping-stone to reach European soil. This journey is a play with fate. In hope of escaping the cycle of poverty and hardship, individuals negotiate their existence between work visas, pending asylum cases and intermarriage. Whilst separated from family members, the desire for freedom, safety, and self determination proves resilient. Overcoming barriers through the connectedness of social media and mobile technology, the imagination of future possibilities seen and unseen is without end. The exhibition is hosted within this years Buffer Fringe Performing Arts Festival 2016 in Partnership with the Goethe-Institut Zypern and KISA. Supported by Caritas Cyprus-Κοινωνία and the Migrant Center in Nicosia, Cyprus. Supported by: Caritas Cyprus-Κοινωνία and the St.Joseph Social Centre in Nicosia. Opening Hours: Monday to Saturday 10:00-14.00 and 15:00 – 17:30.